Last year, we fell in love with an Italian brand called the Velvet Room. Designer Alessandra Di Ioia has crafted a gorgeous collection of lingerie. 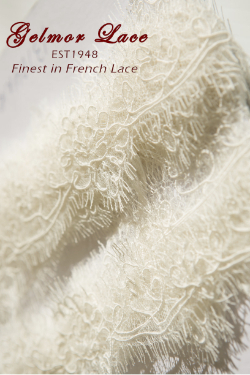 Every piece in her collection is handmade and known for its vintage, romantic and feminine style and are made from quality silk, cotton and satin enriched by ribbons, laces and pearls. What made you decide to go into Lingerie? Did you always want to be a lingerie designer? It’s all began a few years ago when I was involved in organizing a swap business. I used to recycle fabric stocks reinventing clothing deemed “no longer fashionable”. Slowly, I started experimenting with some lingerie designs. After a while of tinkering, I found myself with a few unique pieces. I showed them around and had many requests for more. That’s how the first the Velvet Room collection was born. 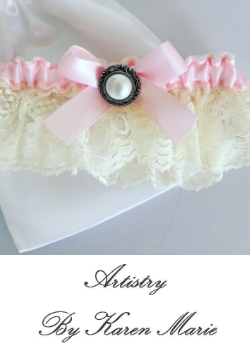 Before that, I’d never thought about becoming a lingerie designer, but I realized then that I really love lingerie! Did you already come from a fashion background when you decided to create your own brand? I actually didn’t start in a fashion background. My background was in the humanities. In school, I started with with a modern literature degree and then graduated with a human resources master’s degree. My brand was born when I lost my job and decided to run with the Velvet Room. That decision helped give me a new chance in my life. How did you come to decide on the name, The Velvet Room? What meaning does it hold for you? The word “Velvet” suggests to me something soft, delicate, embracing and fascinating. In my mind, it’s one of the best words to suggest femininity. How long did it take to get the Velvet Room up and running? Who was the first boutique to carry your collection? It took about three months to get things started with the website and the Facebook page. The first boutique that gave me the chance was a shop here in Italy that picked up only few items at the start. But it was an exhilarating start and those few pieces in that boutique meant so much for me! As an artist/designer, where do you look for inspiration? Everywhere! Beauty and art surrounds us! What are some lingerie brands or designers that you find inspiring and/or exciting? I really like the American designer, Clare Bare! She’s talented and her brand grows day-by-day! I also love Damaris and Lejaby – lovely! We know that it’s not easy being an independent designer. A lot of designers wear a lot of hats running their own brand/business from designing to running their own social media campaigns, do you have some help or are you also doing it all on your own? I make everything on my own and pretty much juggle everything from social media to the accounting. I feel that it’s a shame that there isn’t more help for independent designers…Smaller brands offer something new and different and we are not commercial. We don’t follow the global rules and preconceptions about what lingerie should be about. I think that this perspective has to be underlined! What do you do for fun when you’re not designing and running your own business? My job takes up so much of my time but when I am free from the Velvet Room, I try to spend time with the people I love, taking some “me” time and work on some other retail projects that I’m involved with. One of the things that stands out in your collection is the ecofriendly range. Why is creating Eco-Friendly Lingerie important for you? I think that’s important because of the chance of re-use something you really care about! Discarded clothes and fabrics that you still care about are re-invented and transformed into something new. The added benefit is that in that way you have the chance to own a new, exclusive and original lingerie product created following your tastes and preferences! Untitled from The Velvet Room on Vimeo. You put a lot creativity into your photoshoots and videos, could you tell us a little bit more about how you plan and execute your marketing? Do you do it all yourself? Thank you! The amazing photoshoots are realized in collaboration with a famous photographer, Gianluca Adovasio! We love to working together! 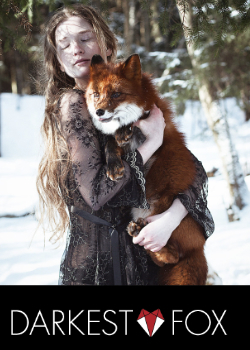 My main role when we work together is to do the styling on the shoots. What’s next for the Velvet Room? Are you doing any trade shows? Events? I hope to grow my brand starting with the next collection by including homewear and swimwear. I also would like to enrich the Velvet Room’s lingerie by employing more traditional Italian manufacturing. At the moment I’m looking for a collaboration! And a very secret event is almost ready to promote the spring summer collection! Stay tuned! For our readers that want to learn more about your collection, where should we point them to? What if they have some wholesale questions, how can they contact you? 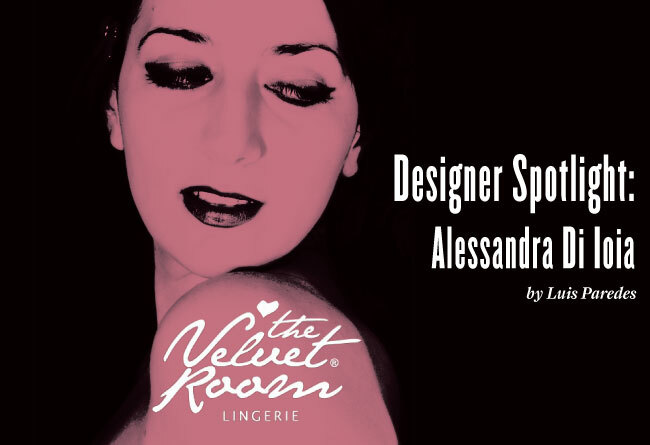 It is possible to learn more about and also to purchase the new The Velvet Room collection on the offìcial website: www.thevelvetroom.it or in the associated online stores. Customers can also find us on our Offìcial Facebook Page and Twitter page.